Three times they tried to kill her. Then they hired a professional. She hired Riyria. 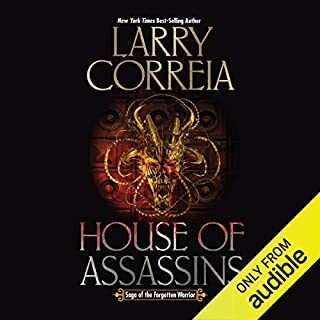 When the last member of the oldest noble family in Avryn is targeted for assassination, Riyria is hired to foil the plot. Three years have passed since the war-weary mercenary Hadrian and the cynical ex-assassin Royce joined forces to start life as thieves for hire. Things have gone well enough until they receive the odd assignment to prevent a murder. Now they must venture into a forgotten corner of southern Avryn - a place whose history predates the empire. As usual, challenges abound as they try to anticipate the moves of an unknown assassin before it's too late. But that's not their only problem. The countess of Dulgath has a dark secret she's determined to keep hidden. Then there's the little matter of Riyria's new employer...the Nyphron Church. 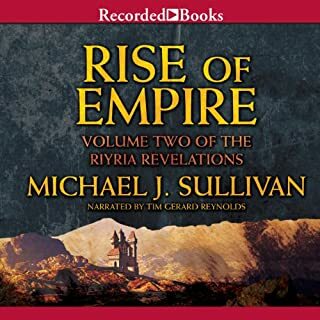 From the best-selling author of The Riyria Revelations comes the third installment of The Riyria Chronicles. 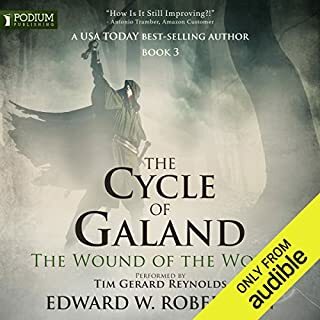 Although part of a series, it's designed to thrill both new listeners and Riyria veterans wishing to reunite with their favorite rogues. 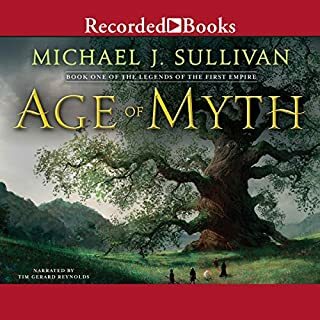 ©2015 Michael J. Sullivan (P)2015 Audible, Inc.
One of the Best Fantasy Series!!! 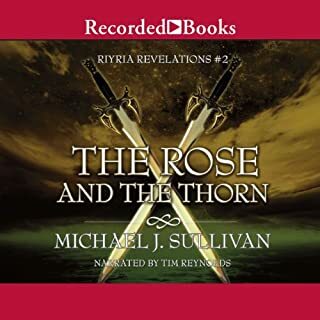 Riyria Revelations and Riyria Chronicles are two of my favorite Fantasy series! 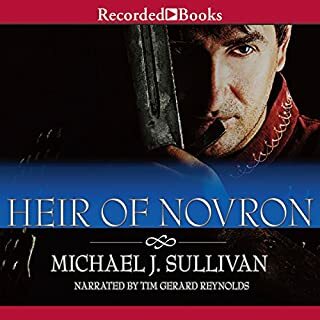 The stories are well written with great plots but it is the characters Royce and Hadrian that really make these stories awesome. They are a such a mismatched pair but somehow work together perfectly. The Death of Dulgath was a great addition to the series and I really hope there will be other books in the series! Well worth a credit! Mr. Sullivan does it again! Once again the boys refuse to disappoint. I especially enjoyed the preview to the next series at the end! I got an early Xmas present when this book came out on Dec 15. Within minutes I was laughing out loud at the interaction of Royce and Hadrian. For those who have read all the other books, there are some interesting revelations. There is more "magic" than in the some of the series, and that's just fine. 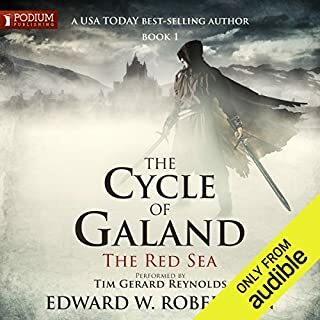 Tim Gerard Reynolds is the voice of Riyria and I would miss his interpretation of the voices if I read the books in print. 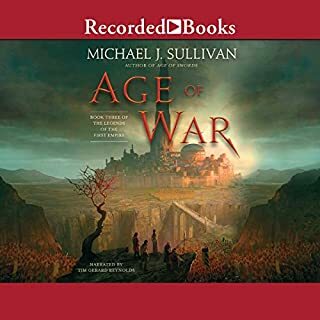 Michael J. Sullivan is a wonderful author who wants to keep his readers happy. This audio includes a preview of an upcoming work from a new series. 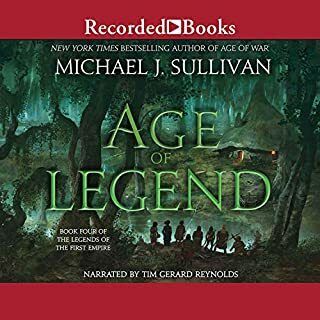 I don't know how he does it, but Michael J. Sullivan has to be the most consistently awesome author writing today. 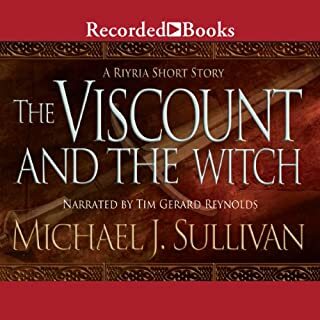 In The Death of Dulgath, he spins yet another epic tale of Riyria's adventures that I just can't get enough of. I did find the ending fairly predictable... but I simply didn't care because the story was so fun. Before the story, there is a message from the author where he says he isn't sure whether or not there will be more Riyria books. Please take this review as my vote that the series continues!! A solid, almost stand-alone, story. 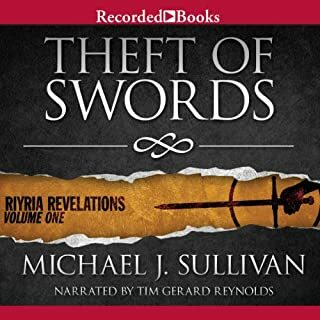 I have enjoyed all of the Riyria books and like many others I enjoy just about anything with the characters of Royce and Hadrian so the Death of Dulgath was a welcome additional to my library. 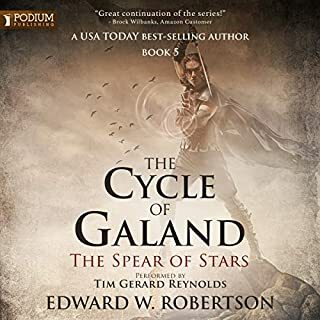 Tim Gerard Reynolds is his excellent self and hearing him voice Royce and Hadrian made me feel like I was back with old friends that I had not seen in a while. 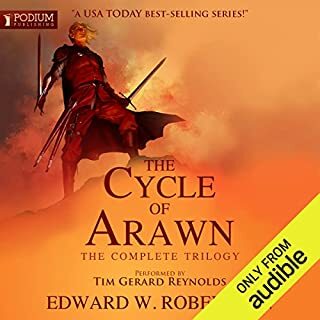 The book is full of the usual "Hadrian = naive, Royce =cynical" repartee and for a while it seemed like more filler than substance, but there was more to the story than it first appeared and it eventually grabbed me. Although this is book 3 of the Riyria Chronicles it could just as easily have been a stand-alone tale. Except for a few references to the Black Diamond there is little to tie this adventure into the larger story arc and that lessened it a just a little for me. 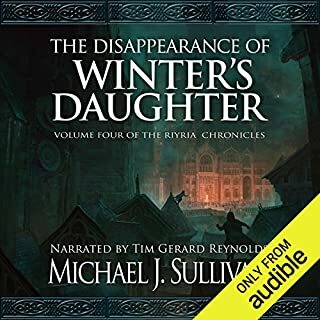 Any Riyria fan should not hesitate to pick this up but if you are new to the series I would recommend that you start with book 1 of either the Riyria Revelations or the Riyria Chronicles. Why would I recommend that when this story is mostly stand-alone? Because I expect you to crave more Riyria after your first listen so you might as well start at one of the 2 customary beginnings. 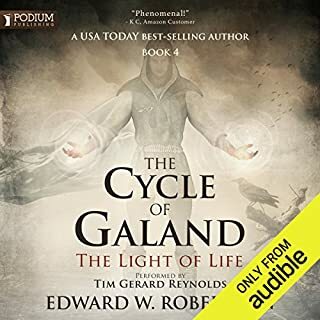 At the beginning of this listen is a word from the author. He states he does not want to wear out the welcome of these 2 wonderful characters. I agree that there is nothing sadder than to see much loved characters wear thin. However, that is not the case here!! This story is every bit as rich and colorful as the first book in the series. Whenever Mr Sullivan gets the urge to continue this story I say MORE PLEASE!!!!!!! 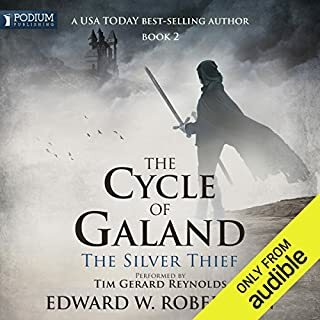 Prior to reading this book I went back and re-listened to the whole series and enjoyed every minute of it. I am sure I will reread them again in the future. This is one of the finest series of books available in this genre and I have read a lot of them. I can't leave without also giving a huge thumbs up to Tim Gerard Reynolds. I can't imagine anyone else who could have given a better voice to these stories! Awesome characters and action read by an awesome narrator! The relationship between Royce and Hadrian is so well written; you really feel these characters and care about them. More please! This book is the third and hopefully not last installment in the Riyria Chronicles Prequel series. I think I enjoyed this novel more than either of the first two books. This is because it isn't a setup book. 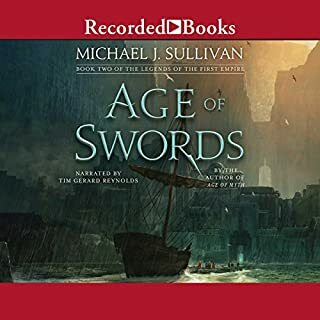 The first two books in this series were obviously setup novels, which explained how Riyria came to be and create a basis for the main characters in these novels. This novel is something different. It is almost a mystery novel to some degree, which also is centralized around a job Hadrian and Royce are hired to do. As I hoped would happen this book focuses on one specific job in the two thieves careers. The novel continues the development of Royce and Hadrian as main characters and friends and shows the effects the two have on each other. Also, it shows us a new previously undiscussed part of the world in Mr. Sullivan's well developed setting. Finally, the plot again like most Riyria novels is not thoroughly complex, but it isn't simplistic either. It is the perfect plot to sit back and enjoy without analyzing every little detail. Like always the swashbuckling humor is entertaining and the two main characters generallly have a good time and cause good natured trouble. Although I will admit these novels are tending towards the more serious as the series continues. As always we receive another admirable performance from Mr. Reynolds, who makes the story come to life. 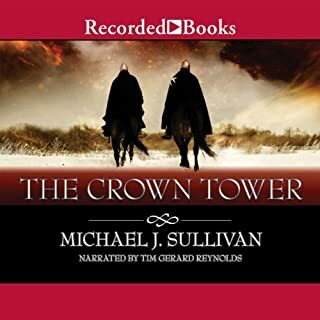 I very much hope that Mr. Sullivan decides to write more novels in the series, because I will certainly continue to read them. 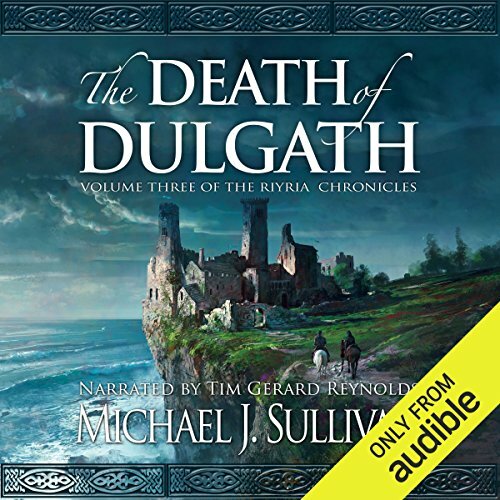 Would you consider the audio edition of The Death of Dulgath to be better than the print version?